Dark leafy greens should be incorporated into your diet on a daily basis. Kale is rich in essential vitamins A, C and K as well as minerals like copper, potassium, iron, manganese and phosphorus. In addition, studies have shown that kale may contribute to lowering the risk of cancer, lowering blood pressure, improving bone health, lowering the risk of developing asthma and more. 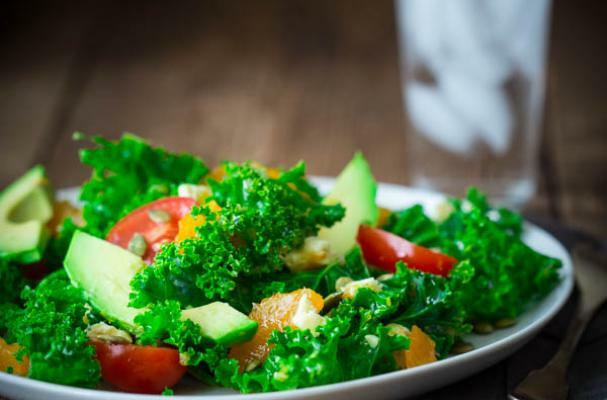 These kale salad recipes will help you eat healthier this year. Kale is a rockstar in the vegetable world and the new cookbook Kale, Glorious Kale by Catherine Walthers is a tribute to the superfood. 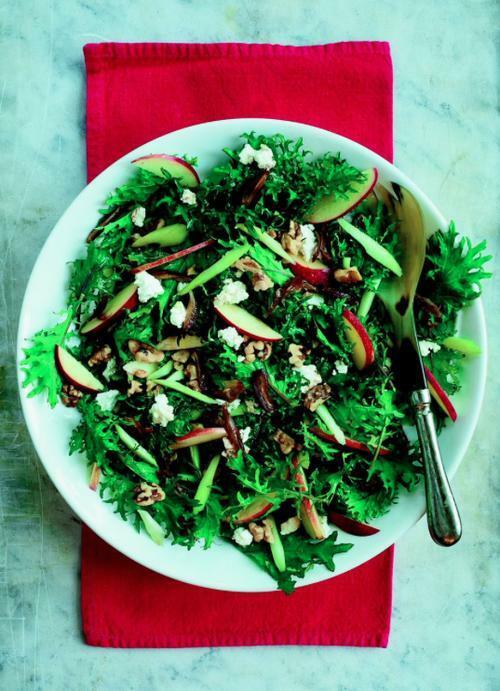 This multi-texture salad incorporates crispy apple, crunchy kale, buttery walnuts and salty feta cheese with a simple balsamic vinaigrette. Kale and quinoa are both recognized as superfoods rich in vitamins and minerals and work fantastic together in this salad. The beauty of this kale and blood orange salad is that you can play around with the ingredients and tailor it to whatever vegetables you have on hand. Kale Caesar salad is a healthy twist on this classic salad. In addition, to a plethora of vitamins and minerals, kale supports cardiovascular health and detoxification system. When paired with homemade Caesar dressing and croutons, you get one killer salad. Sesame kale salad is inspired by the flavors of Asia. Kale leaves are chopped and steamed before being tossed with a sesame vinaigrette. The recipe calls for ginger garlic salt which is a blend of minced garlic, ground ginger and kosher salt. Citrus kale salad is a light and bight winter dish. 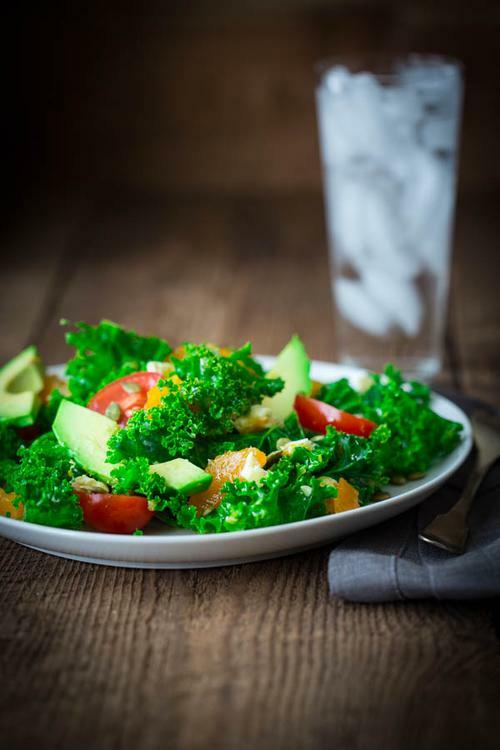 Kale is arranged with clementine segments, avocado, cherry tomatoes, feta cheese and pumpkin seeds. To boost the protein, feel free to add grilled chicken, tofu, or even steak.